Sahib and the Crew Save the World: Happy New Year From Sahib and the Crew! 2011 (also known as Year One of the Era of SACSTW) has been put to bed, and 2012 is upon us. In 4 short months, SACSTW has spread across the world faster than Barack Obama can raise your taxes. SACSTW has been read in 36 countries, and reached every continent on the globe (well, except Antarctica...what is wrong with you people down there?). Sahib and I hope that our readers have been entertained and informed when visiting SACSTW, and we promise to keep up the good fight as the world enters a new year. 2012 promises to be a key year in human history, what with a defining election in the USA in November, and the end of the world as foretold by the Mayans coming just 6 weeks later. 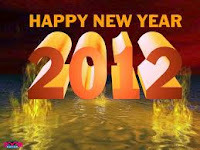 Please keep spreading the word about SACSTW, keep emailing us at SACSTW@gmail.com, and have a safe and prosperous 2012! P.S. Hey Antarctica.....I know it's summer down there right now, and all you penguin researchers are probably laying around on the beach, but would it kill you to check out SACSTW every now and then?